The RAD project is aimed at developing a new understanding of anxiety and depression. Our goal is to understand the brain changes that generate individual experiences of anxiety and depression. We also seek to understand how these brain changes contribute to the impact on personal lives - effects on relationships and work, for instance. We envision the discovery of new ways to classify anxiety and depression. With new classifications, it will be possible to select which treatments will be most effective for each person. 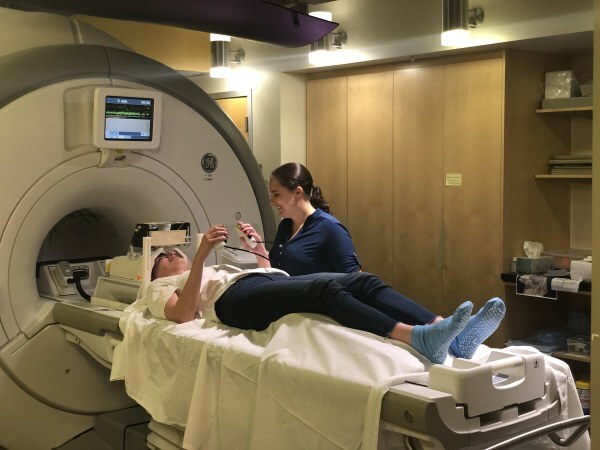 In this study, brain scans are used to learn more about how emotional parts of the brain relate to anxiety and depression. The ultimate goal of the study is to apply this knowledge to help personalize treatments. The RAD project is funded by the National Institute of Mental Health (NIMH). The project is a partnership between Stanford University and the Gronowski Center at Palo Alto University. 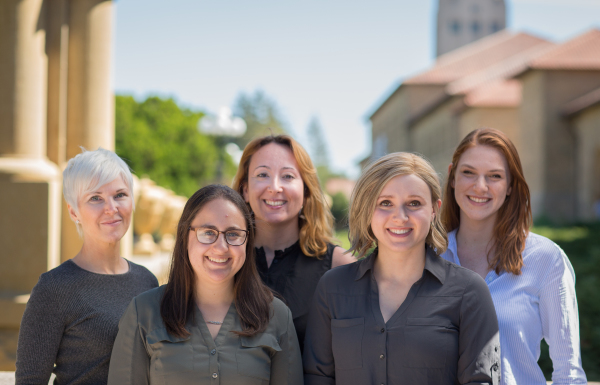 Members of the project's current version, RAD-AT, from left to right: Dr. Leanne Williams, Arielle Keller, Dr. Zoe Samara, Katherine Grisanzio, Serena Tally. "The work Dr. Leanne Williams is doing may actually give me a chance to thrive, not just survive. Instead of medical professionals trying to guess which disorder is displaying the symptoms I am struggling with, her approach to treatment can focus on what really is causing my illness to express itself. The science behind Dr. Leanne Williams' work can change the way we approach mental illness in developing diagnosis and treatment that is CUT AND DRY... that is a beauty of it. Current medical practices place too much emphasis on patients reporting their own symptoms. Mentally ill patients are being asked to give an accurate depiction of themselves, while in a poor state of mind and possibly even out of touch with reality. Are patients going to share manic symptoms or substance abuse issues when they feel these offer some relief? Instead of deciphering and medicating five disorders, let's treat the anhedonia and rumination occurring in the brain, which moves across all of the five disorders at varying degrees. The reactions in the brain causes the expression of these disorders-- for many sufferers, the clock is ticking, and every failed medication or treatment pushes them more and more into a hopeless and suicidal state. In uncovering the neuroscience behind mental illness, I would go as far to say that Dr. Leanne Williams is answering the question "which came first, the chicken or the egg?" Seriously, her work has the potential to change an unlimited number of social problems that correlate with mental illness; number of inmates in the prison system, lost productivity in the workplace, reducing incidence of child abuse, relieving people coping with someone who is mentally ill, decline in suicide rate, the list goes on and on. My favorite result of her work will be giving the mentally ill a better chance at thriving. 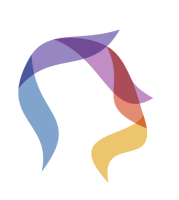 I cannot wait to see how much impact her work will have ten years from now..."
We are currently recruiting for a version of the RAD study called RAD-AT, or Research on Anxiety and Depression - Anhedonia Treatments. Please see detailed information on what this study involves, below! The RAD study without treatment is not currently recruiting. The purpose of this study is to elucidate the mechanisms via which pramipexole, a drug that acts on the major neurotransmitter system involved in reward processing, and repetitive transcranial magnetic stimulation (rTMS), a direct neuro-stimulation treatment, alleviate symptoms of depression and anhedonia in treatment responders. We will prescribe either pramipexole or rTMS to participants with depression and anhedonia symptoms for 8 weeks and examine the communication between their reward-associated brain areas before and after the treatments. The screening is done to make sure the study is a good fit for you. The blood and urine samples are to ensure the study treatment will be safe for you. When: The phone screen can be done shortly after you contact us! Your first assessment visit is done so we can gather information on your baseline symptoms, cognition, and brain activation pre-treatment. When: ASAP after your in person screen. Week "0" of the study. Details: The treatment phase will consist of your choice of either TMS (transcranial magnetic stimulation) or Pramipexole (a medication for depression). Duration: Treatment visits: 40 minutes/week (Pramipexole) or 40 minutes/day Monday-Friday (TMS). Monitoring visits/phone contacts: 15 minutes/week. When: Immediately following your Assessment Session 1. Weeks 1-8 of the study. Compensation: Free access to depression treatments. Details: This assessment visit will be identical to the first! The purpose of this visit is to get a sense of your symptoms and functioning post-treatment. When: Immediately following the treatment phase. Week 8 of the study. Details: This phase is for the purpose of tapering off your treaments, and checking in on your symptoms. Duration: Treatment tapering: varies, smaller time commitment each week. Online questions: ~30 minutes. When: Weeks 9-12 of the study. For details on visit sessions and more information on TMS and Pramipexole, including how they work, their contraindications, and side effects, click through the images below to view our informational brochure. MRI is a safe, painless, and non-invasive scan that uses magnets to display a detailed view of the brain's anatomy. No x-rays or radioactive material are used. Memory foam mattresses and other equipment, such as blankets, pillows, and sheets, are provided to ensure that participants are comfortable. The MRI tube is open on both ends. You would be in the tube about until your knees (your knees down to your feet would be out of the tube). We would be communicating with you throughout the scan. How long is the study running? The study is recruiting participants through 2019.